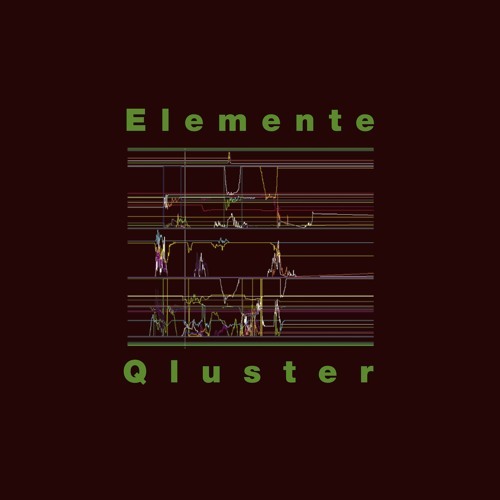 Elemente is a dynamic and hypnotic record, not at all reliant upon listener knowledge of the three incarnations of K/C/Qluster nor of the relentless creativity of Hans-Joachim Roedelius. The trio play a range of analogue synths and tracks are coherently sequenced into a whole album: two elements which combine to give a richness, depth and balance to their expression. In March 2017 I attended a solo performance by Han-Joachim Roedelius in a Knoxville church. He played piano and electronics for an hour or so. The audience was clearly a reverent group who knew why they were there. When the music ended, there were a few seconds of silence and those of us close enough saw and heard him weep. After a blistering standing ovation he was in fine form, mingling for a long time with fans and even suggesting “ein selfie?” A few days later I heard that his other US dates had been cancelled for health reasons. He must be feeling better, as this seventh album as Qluster from the eighty-four year old Roedelius (with Onnen Bock and Arming Metz) is a thrilling and poignant marvel, crafted with daring, unpretentious gusto. As with their earliest recordings, Qluster adjourned to improvise in the remote hamlet of Schönberg, before chamfering the sessions down to these eight tracks and adding only sparse additional elements to the tracks “Zeno”, “Tatum” and “Xymelan”. Of the aforementioned analogue instruments - ARP 2600 - is used to particularly fabulous effect on “Zeno”, and Farfisa organ beautifully underscores a Fender Rhodes piano melody on “Symbia. Several pieces rest on either slow or faster beats with “Tatum” having a slightly more heated and abrasive texture than the others. I have to speculate that “Zeno” is (well) named for the Greek philosopher (c. 490-430 BC) author of certain paradoxes, including one which supports Parmenides' notion that (contrary to the evidence of our senses) change does not exist and thus motion is nothing but an illusion. There is no need for speculation about the importance of Roedelius whether in the three incarnations of K/C/Qluster, or with Conrad Schnitzler, Dieter Moebius, Michael Rother, Bowie, Eno, Conny Plank and others, and Elemente lives up to his creative history. My dreamy nature is rewarded by “Weite” and “Infinitum” - two stunning tracks. Depending on one’s own imagination, “Weite” may suggest floating in an echo chamber, wandering to the top of a hill surrounded by clouds, or time-traveling back to a childhood moment when a parent helped with kite flying as waves rolled along a sunny beach. The last piece, “Infinitum” maybe creates the atmosphere of an eternal trip into endless space, a journey which Hans-Joachim Roedelius may arguably be closer to making than some of us, but no time soon I trust.